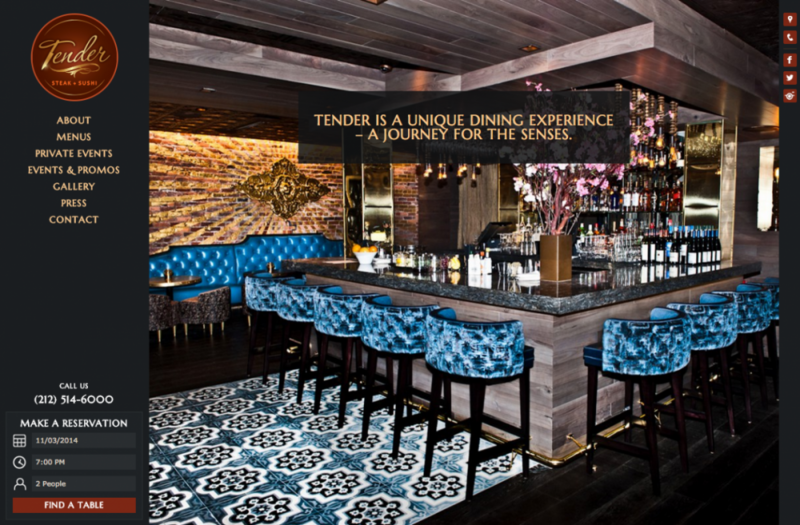 Tender Restaurant is a new Steak & Sushi restaurant located in the Sanctuary Hotel in Midtown, NYC. This design is open, fresh, and provides a variety of page layouts for the different types of content featured. In addition to a content management system, customizable menus, galleries, and press pages, the site includes a custom events calendar that allows the restaurant to feature one-time only and recurring events with minimal effort. The website is also responsive so mobile and tablet users can easily view the site on a wide variety of devices.